Plans by the Ministry of Justice (MoJ) to impose fixed-term contracts on fee- paid judges could be unlawful, the Bar Council has warned. The move, which according to the MoJ has the backing “in principle” of the Lord Chief Justice, Lord Thomas, has also been strongly attacked by the Law Society, which said solicitors could in future see judicial appointment as a gamble with their careers at their firms. The Bar Council said existing fee-paid judges applied for jobs “on the basis that they would remain in post unless their conduct fell short of expected standards”. In response to a consultation by the MoJ, the Bar Council went on: “To change this would undoubtedly create ill feeling, demotivate much of the fee-paid judiciary and result in reputational damage to the fee-paid judiciary that might have a knock-on effect on the quantity and quality of applicants for such posts in the future. It might also be unlawful. “Further, the introduction of fixed terms for existing fee-paid judges would lead, in due course, to a large volume of fee-paid judicial posts needing to be filled. According to MoJ figures, there are almost 6,800 fee-paid judges in England and Wales – made up of around 1,000 recorders, deputy district judges, 3,500 first-tier tribunal judges and employment judges. In a consultation launched in September the MoJ argued that to improve diversity among the judiciary, there should be a “new tenure” for fee-paid judges, consisting of a fixed, non-renewable term. The Bar Council said that while the objective of improving diversity was “to be applauded”, this proposal was not an “effective or appropriate method” to achieve it. 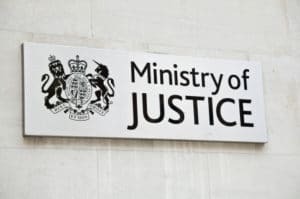 It noted that, in an impact assessment on the changes, the MoJ estimated that there would be a £500,000 p.a increase in the costs of recruitment to the judiciary, and an additional £2m required for judicial training. The Bar Council said there were “really important issues of legal principle” why judicial posts should not be held on an ‘up or out’ basis, and judicial independence was essential to the rule of law in a democracy. “Putting judges in a position in which their appointments are subject to early termination (i.e. before retirement age) at a point at which they remain quite capable of continuing but do not wish or are unable to progress to another level, has the capacity to undermine that independence. The Bar Council said both the Council of Europe and the Commonwealth had emphasised the obligation on member states to avoid making judicial appointments subject to early termination, precisely because of the “chilling effect on independence”. The Law Society argued that the combination of the introduction of fixed terms with two other proposals – removal of guaranteed sitting days and the right to claim travel expenses to the judge’s main court – could lead to a reduction in applications for fee-paid posts. “By introducing a lack of permanency to part-time roles without creating a clear path for career progression into salaried positions, the proposals could lead to a serious decrease in candidates for judicial office. The society said this made it likely that fee-paid judges would, “in the absence of an alternative”, pursue a career outside the judiciary at the end of their fixed term. The Law Society said the plans, if implemented, would dictate that no fee-paid judge had more than six to 10 years of sitting experience, which may not be long enough to develop their skills if they only worked 15 days a year. The society said full-time solicitors wanting to become fee-paid judges would either have to request time off for a part-time role, with the prospect of leaving the firm after six years for a salaried judicial post, or ensure that they could return to full-time practice if they could not secure that. The Ministry of Justice said its proposals were based on the work of a steering group, set up by the Lord Chancellor, Lord Chief Justice and Senior President of Tribunals in 2013. Introducing the consultation Modernising judicial terms and conditions, justice secretary Liz Truss commented: “The reforms we are proposing provide an ideal opportunity for us to consider how the judiciary in England and Wales will work in a modernised system and how we can ensure that it is able to continue delivering justice effectively.